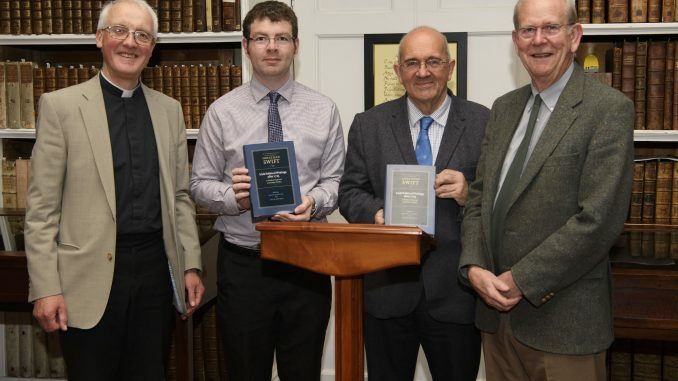 Dean Gregory Dunstan; Dr Robert Whan, Keeper; Professor David Hayton, author of the work The Cambridge Edition of the Works of Jonathan Swift: Irish Political Writings after 1725: A Modest Proposal and Other Works; Professor Andrew Carpenter, guest speaker at the launch. 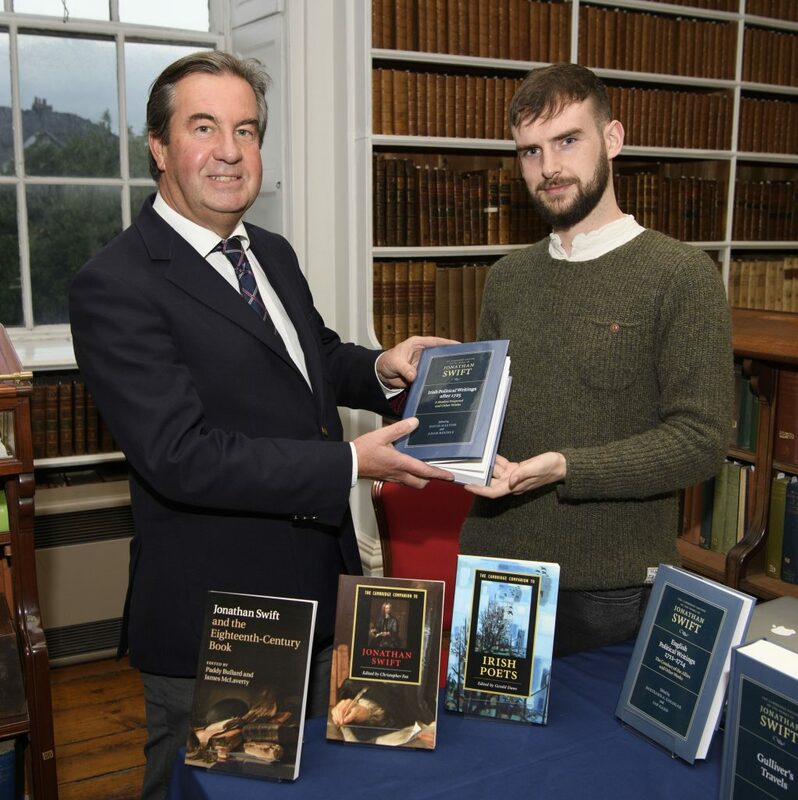 Dr Robert Whan, the Keeper of Armagh Robinson Library, welcomed people to the book launch of Professor David Hayton’s latest publication, The Cambridge Edition of the Works of Jonathan Swift: Irish Political Writings after 1725: A Modest Proposal and Other Works. 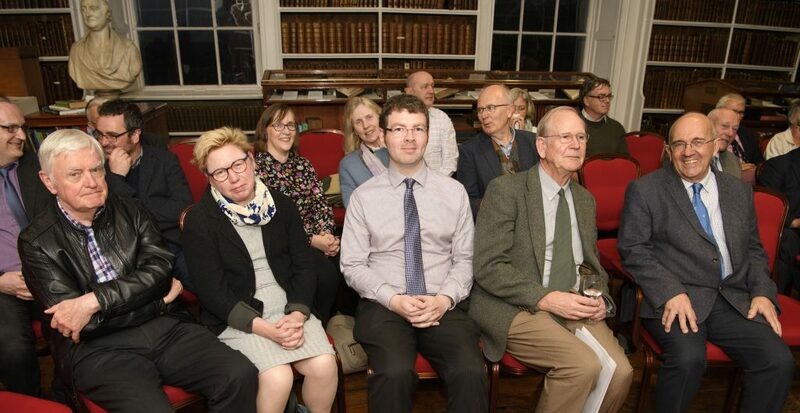 Professor Hayton kindly chose the Library for his Irish book launch. 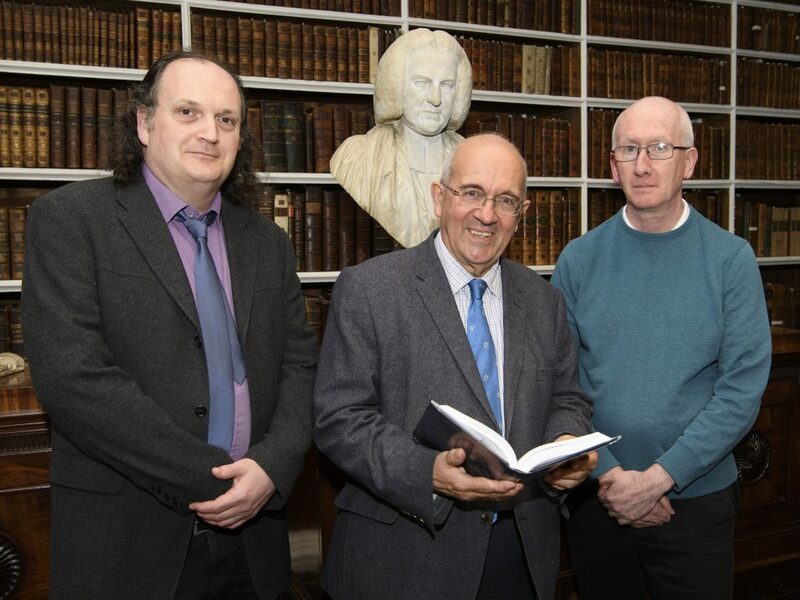 As a member of the Library’s Management Advisory Committee, and a regular visitor to the Library, David is aware of the material which the Library holds on Jonathan Swift and on early eighteenth-century Ireland. With David’s help, a selection of books from the Library’s own holdings was put on display for the evening, including references to Swift the Patriot, A Modest Proposal, the cannibal theme, and Swift and the poor. In addition, David brought a halfpenny coin struck by Wood, with George I’s image on the obverse and Hibernia on the reverse to add to the display. Curator of Armagh County Museum, Mr Sean Barden, also brought a ‘Beggar’s Badge’ which had been in use in Mullabrack Parish, issued in 1741, four years after Swift published his essay encouraging the badging of the poor. 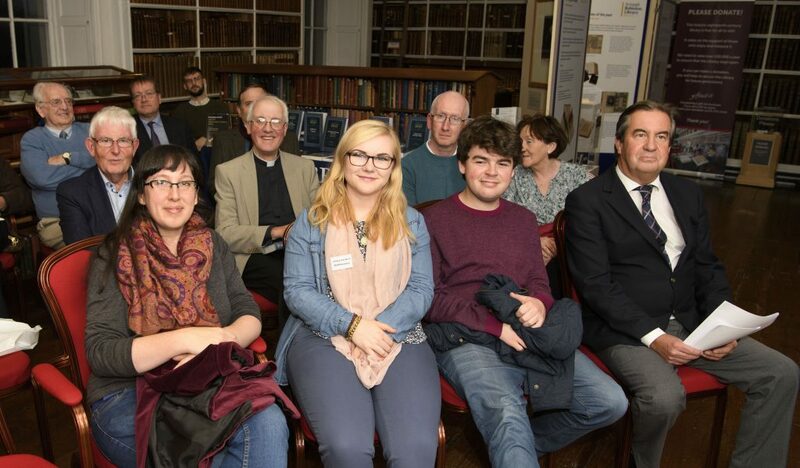 Refreshments for the event were provided by Ulster University, which was represented by Dr Frank Ferguson. This was a lovely gesture which reinforces the collaboration between Ulster University and Armagh Robinson Library. Dr Frank Ferguson, Ulster University’s representative, Professor David Hayton and Mr Sean Barden, Curator of Armagh County Museum, who brought a ‘Beggar’s Badge’ from his museum to complement the display of works on and about Swift. 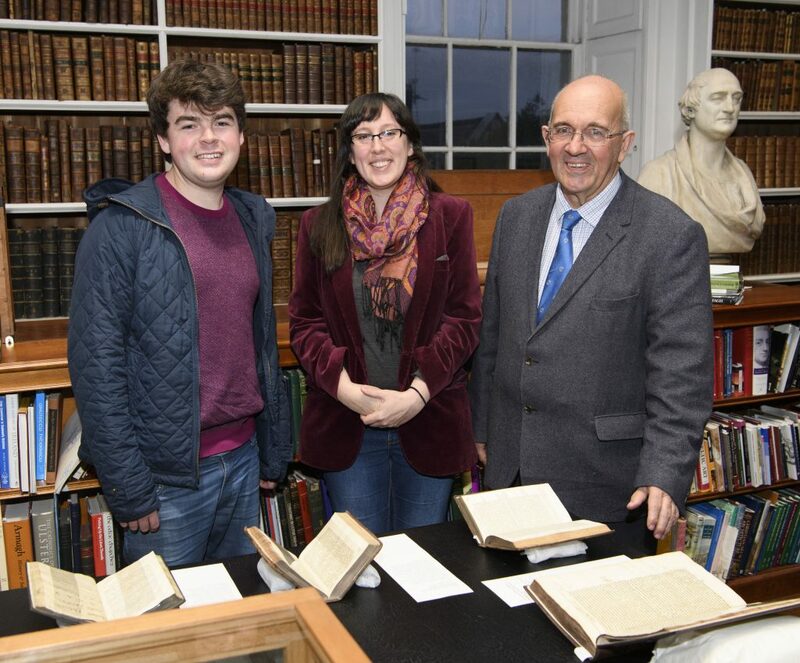 Library volunteers Dominic Henry and Anna Hunter with Professor Hayton. Anna had helped to gather the material from the Library’s collection for the exhibition. Part of the audience at the book launch. Stephen Day, Registry Officer, with Stephen Reid from Brookside Publishing Services, who sold copies of the book at the launch. 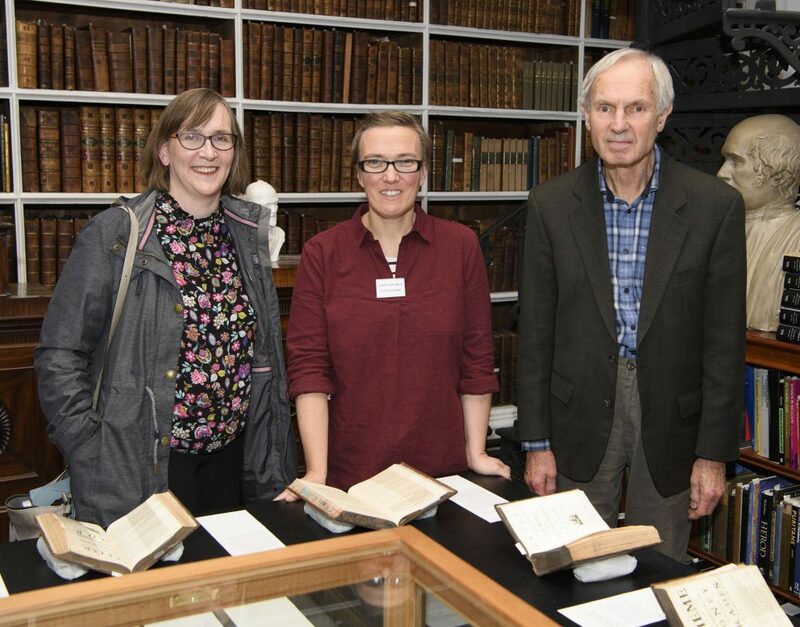 Professor Moyra Haslett, Queen’s University Belfast’s representative, Thirza Mulder, Archivist who had brought the exhibition together for the event, and visitor George Yerby. 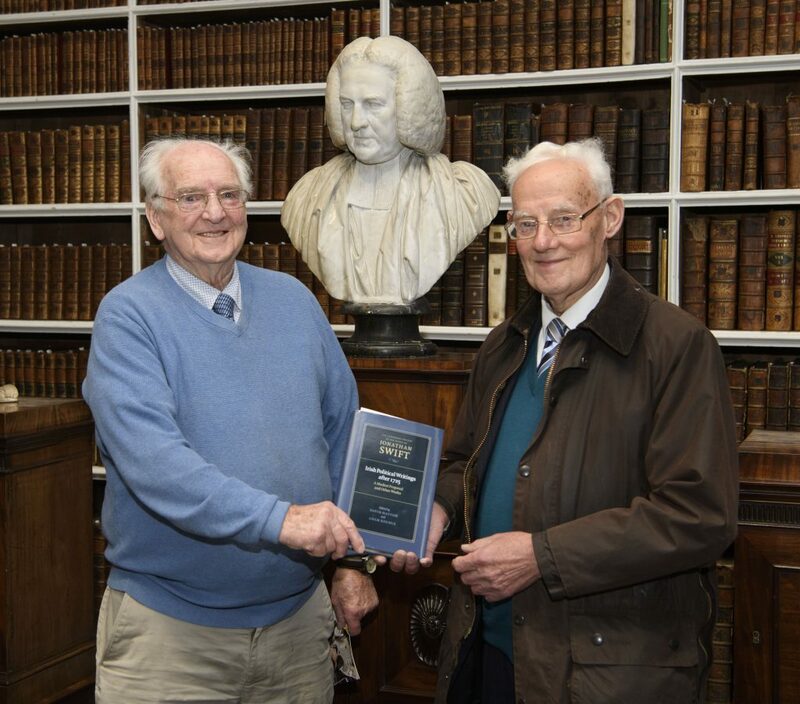 Stephen Hartley and Eric Marshall, two of the Library’s volunteers, who contributed to the purchase of a copy of the book for the Library. 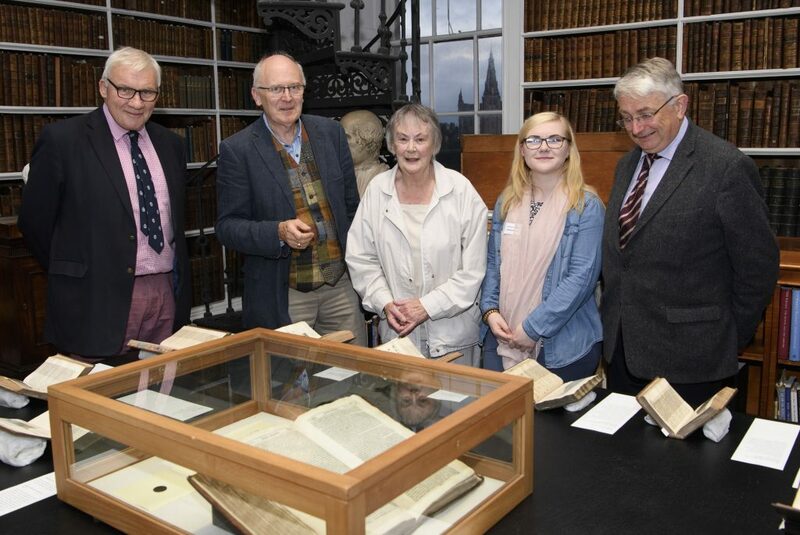 Pooler Archbold and Brendan Twomey joined Library volunteers Mary Dawson, Rachel Toner and George Woodman to look at the exhibition on Swift from the Library’s collection.